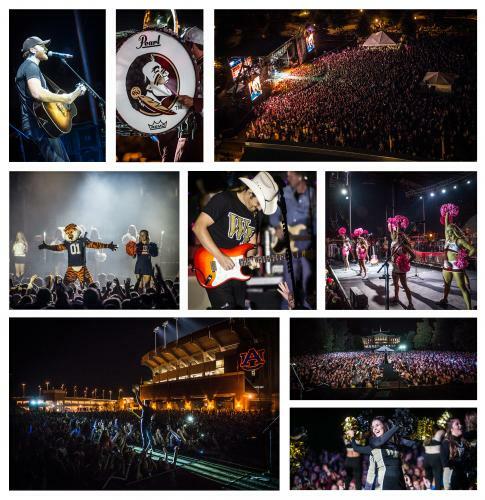 NASHVILLE, Tenn. (October 12, 2015) This past weekend Brad Paisley continued his celebration of the 2015 college football season by taking his Country Nation College Tour presented by Zaxby’s to IMG College partner universities and providing free entertainment for the campus community. He played to capacity crowds at Florida State University, Auburn University and Wake Forest University. Eric Paslay is special guest on the tour. Paisley completes his free college tour this week with shows at the University of Georgia and University of South Carolina. 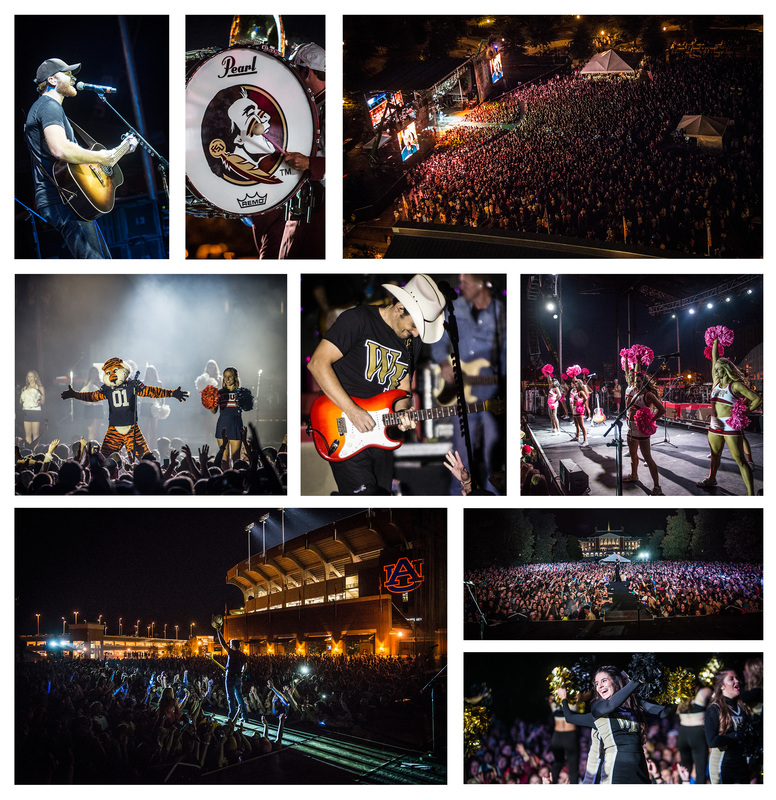 The show at UofSC will support and honor the greater Midlands community that was heavily impacted by recent flooding. Many first responders and their families will be in attendance as special guests.